Check out some links recommended by our blog authors. If you have any links you feel could be useful to our readers, just let us know. The links below are in alphabetical order. – Great site to do research on, identify, and discuss cichlids. – Good, regularly updated blog and forum. – The largest and most well-known forum online about the aquarium hobby. – Shameless plug. 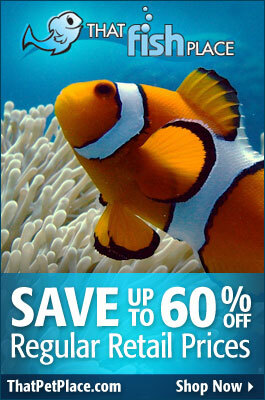 Discount aquarium and pet supplies online, and you read posts and ask questions from our experts right on this blog. – Great place to talk and interact with TFP customers, experts, find useful links, enter contests and find the most up-to-date info on the company. – That Fish Blog Contributor and Former Bronx Zoo Zoologist Frank Indiviglio’s blogs on Herps and Birds, respectively. – Great website for fish research, loaded with years of excellent content.